Dr Matt Folley has worked on the development of wave energy technologies for over 20 years. Consequently, he has seen large changes in the industry from the small academic-led research effort of the 1980s to the current emerging industry and the deployment of full-scale prototypes. During this time Matt has been actively involved in all stages of the development process from the production and assessment of novel concepts, through numerical modelling and wave-tank testing, to the design and deployment of full-scale devices at sea. Matt has published extensively in the research and development of wave energy including over 20 peer-reviewed publications – some of which are listed below. 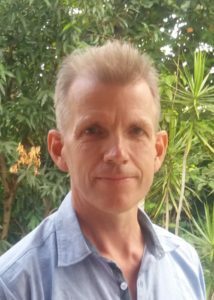 Matt is also chair of the IEC committee developing international standards for the Assessment and Characterisation of the Wave Energy Resource and UK principal expert on the IEC committee for the Power Performance Assessment of Wave Energy Converters. Matt has recently been invited to review the draft methodology developed by the Carbon Trust for estimating the wave energy resource of the UK. Folley, M. and Whittaker, T. . The cost of water from an autonomous wave-powered desalination plant, Renewable Energy 34(1): 75-81.